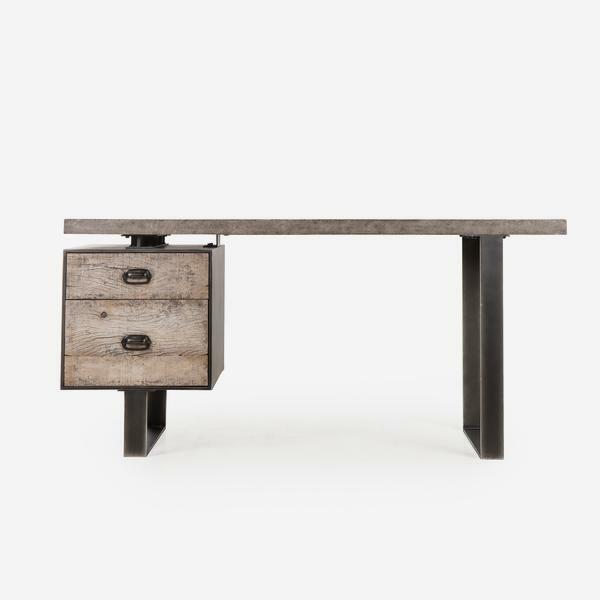 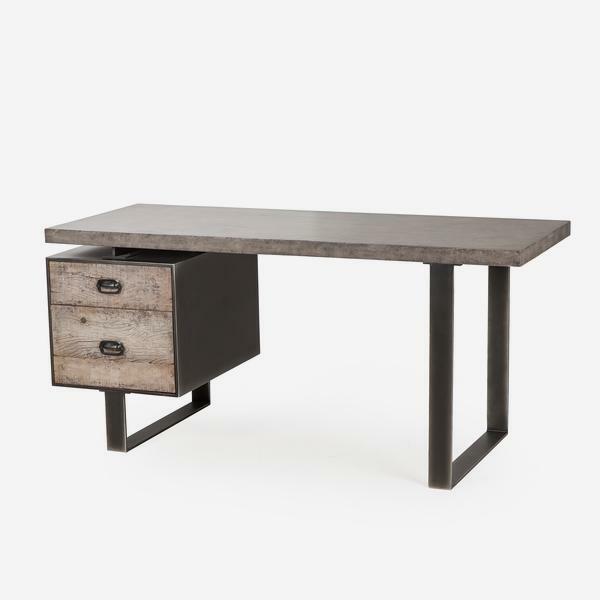 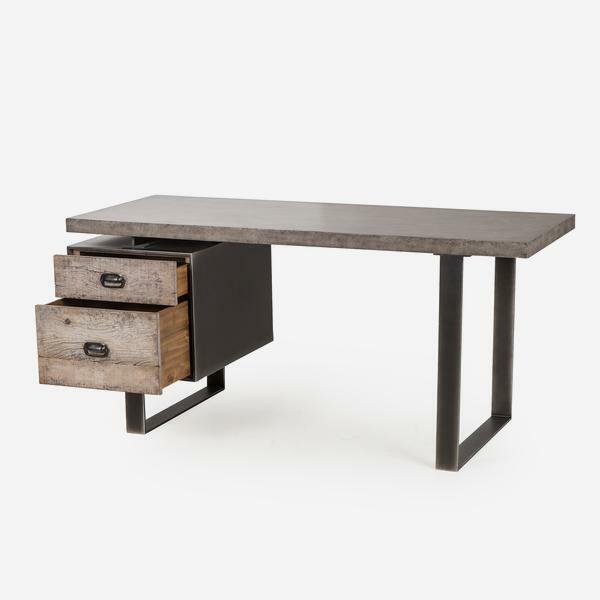 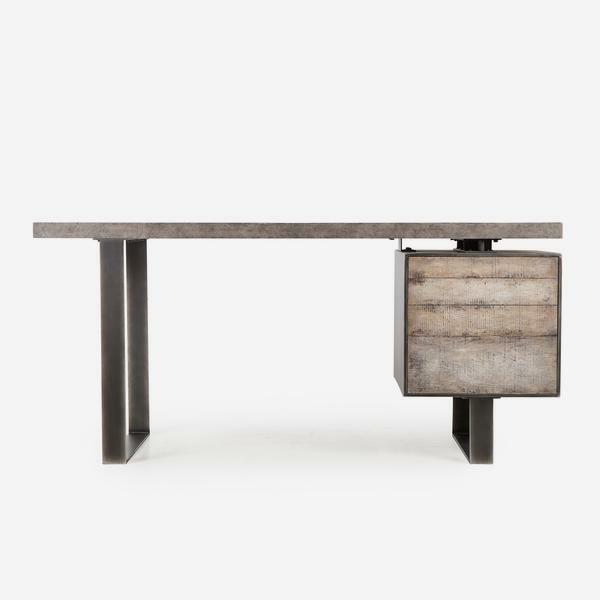 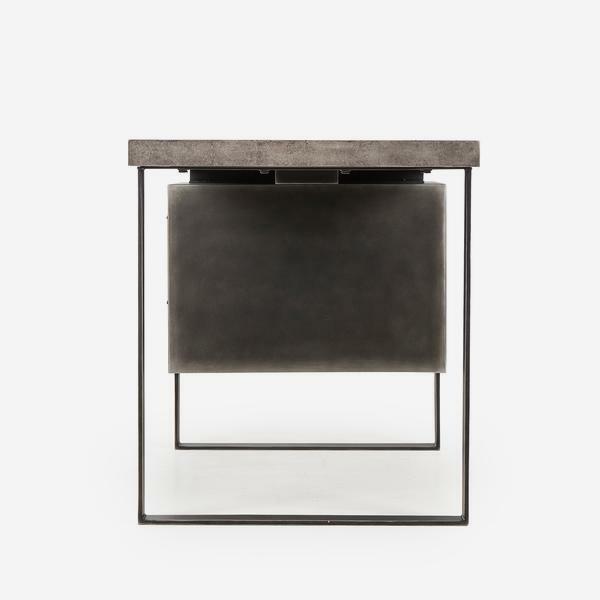 A factory style desk with a cement board top, two driftwood drawers and a steel frame. 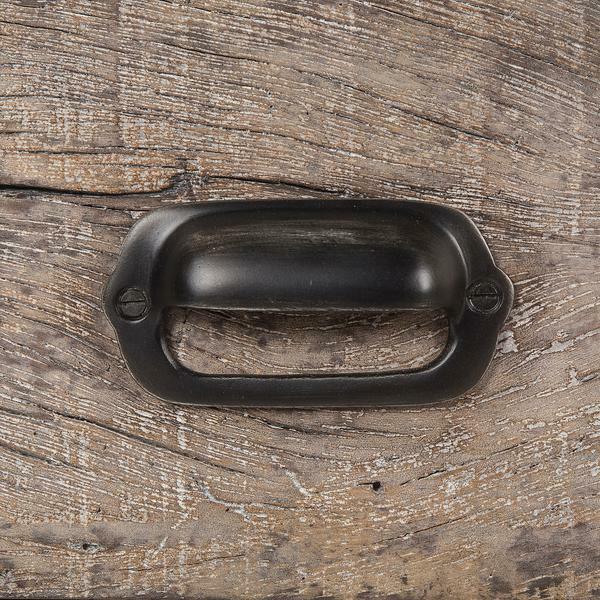 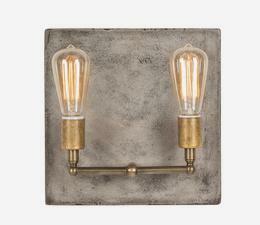 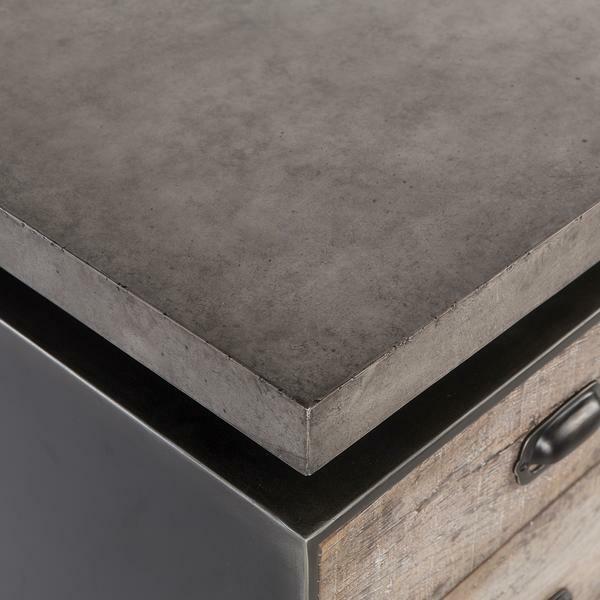 Watson displays juxtaposing materials for edgy interest, yet the overall shade of textured grey brings the components together. 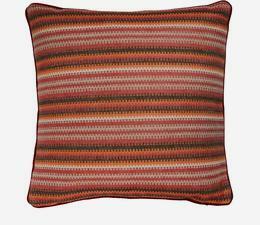 Soften the look with some natural foliage and warm textiles.